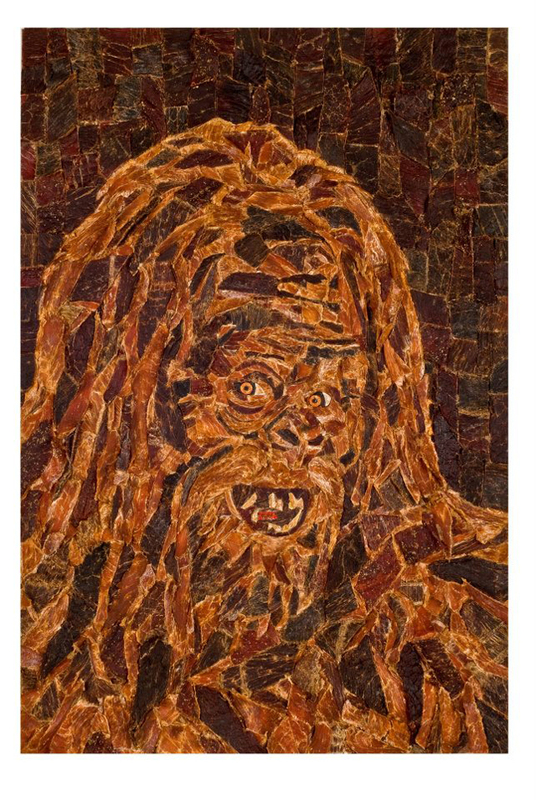 Mosaic artist Jason Mecier recently created a spectacular portrait of Sasquatch from 80 bags of beef jerky. 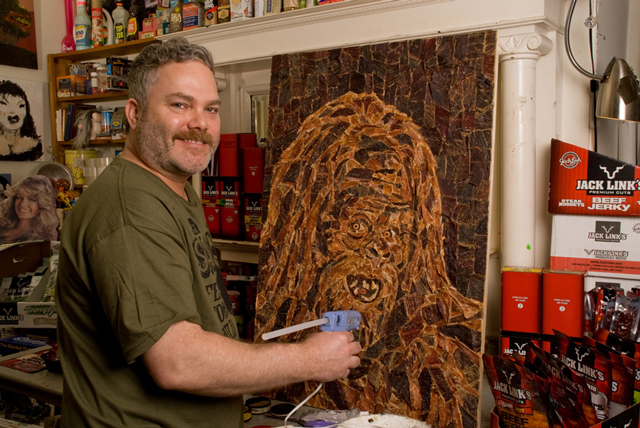 He partnered on the piece with Jack Link’s Beef Jerky as a way to celebrate National Beef Jerky Day (June 12). Jason’s artwork has been featured several times in the past on Laughing Squid.